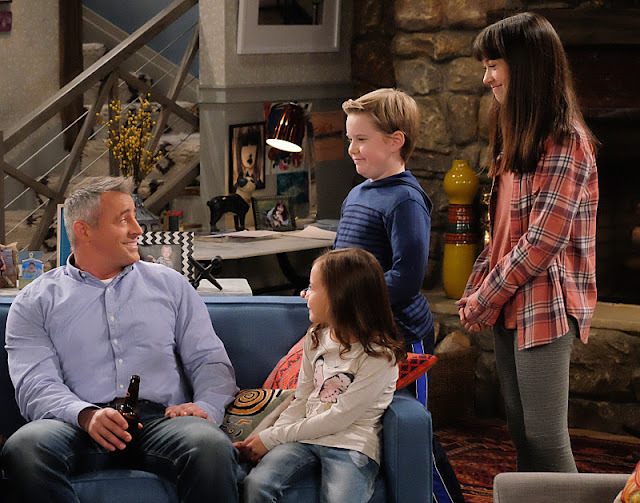 Golden Globe Award winner and former Friends star, Matt LeBlanc, stars in the new CBS comedy “Man With a Plan” and one of his pretend children might look familiar to Dallas viewers... Cutie pie Matthew McCann plays ‘Teddy,’ the mischievous middle child of ‘Adam’ (Matt LeBlanc) and ‘Andi’ (Liza Snyder) in the comedy that shows what happens when a dad takes on additional parenting responsibilities when his wife returns to work after being a stay-at-home mom for 13 years. Born and raised in Coppell, Matthew began acting at the age of 7 when he followed in his brother’s footsteps and began taking classes at Cathryn Sullivan’s Acting For Film. The McCann family, recognizing Matthew’s talent, decided to spend a few months in Los Angeles to allow him further opportunities in the industry. Matthew then booked voice-over roles on “American Dad” before securing his role of a lifetime on “Man With a Plan.” One of the young actor’s favorite parts of working on the new CBS series is the chemistry the cast has with each other, on and off screen. 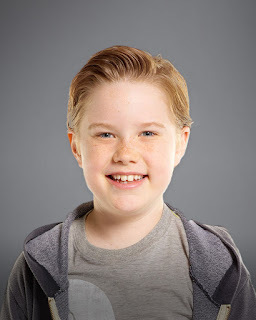 Matthew draws from his own experience as a brother to his two siblings when playing ‘Teddy,’ the sarcastic, joke-cracking child alongside his on-screen siblings Grace Kaufman and Hala Finley. When not acting, McCann can often be found at home with his family or playing with his friends. He enjoys swimming, bowling, skateboarding, scootering and is a big fan of playing video games. Matthew is also bilingual (in English and Spanish) after attending a dual-language school program in Texas since kindergarten. Already understanding the importance of giving back, the actor has raised money for the Wounded Warrior Project and has volunteered making sandwiches for the homeless with Tango Tab, an organization in Texas. Matthew hopes to be able to use his acting talent to meet and connect with new people. This adorable tyke is making Texas proud and we wish him the very best as he continues to chase his dreams in LaLa land. Break a leg, Matthew!